As is the case every year, the Sandpoint Lions Club has worked hard to prepare an unforgettable Fourth of July. The Kids’ Parade in Sandpoint. Photo by Ben Olson. Parents with young kids won’t want to miss the Children’s Parade. To ensure a place, make sure to meet at the city parking lot on Church Street and Fourth Avenue by 8:30 a.m. 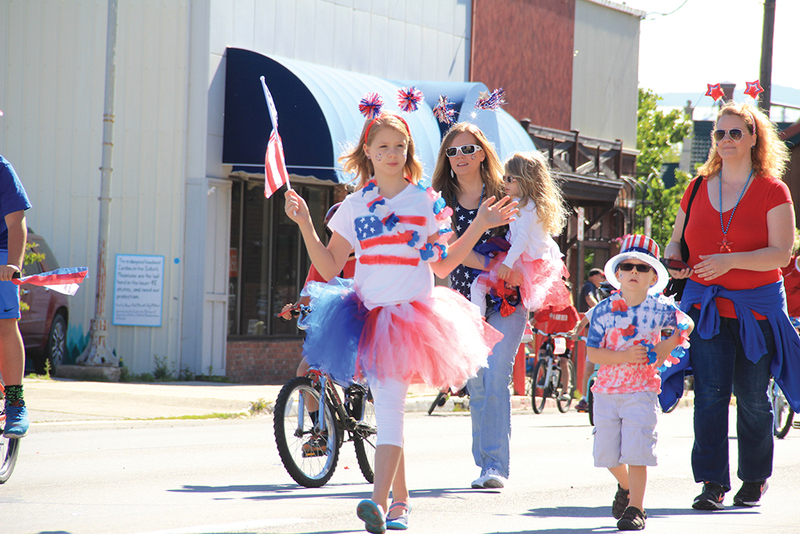 The parade itself begins at 9 a.m.
“There will be several people from the Sandpoint Lions Club there to direct children where to line up,” said Lions spokesperson Janice Rader. The Children’s Parade will wrap up just in time for everyone to enjoy the Grand Parade, which begins at 10 a.m. Due to ongoing construction, the parade route will start at Church Street and Fifth Avenue, turn left onto First Avenue, turn again onto Oak Street and turn once more back onto Fifth, ending at Fifth and Cedar Street. The parade theme this year is “the sounds of freedom.” And the Lions have selected grand marshals particularly well-suited for that theme this year, opting to split the honor among four law enforcement officers recently wounded in the line of duty: Sandpoint Police officers Michael Hutter and Eric Clark, who were each shot twice in a March incident, and Bonner County Sheriff deputies Mike Gagnon and Justin Penn, who were wounded in a January 2017 gunfight. 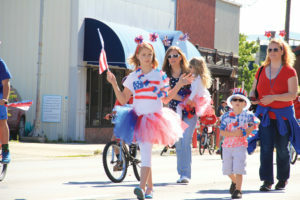 The Lions will be selling raffle tickets for next year’s Fourth of July events throughout town during the day, as well as at City Beach. And at dusk before the fireworks begin, the Lions will randomly select the lucky winner of two four-wheelers. According to Rader, it’s the first year the Lions have ever given away a prize like that. The fireworks then begin at dusk at City Beach above the lake. The highlight of any Fourth of July evening, it will be a show with an especially spectacular finish, Rader said. “We’ve invested more in our grand finale show this year, so I’m looking forward to seeing that,” she said.